You walk into a store to buy a toy for your kid. Facial technology at the door identifies you as a repeat customer and alerts the staff on your preferences and past purchases. Once you have selected a toy, you take it to a kiosk in the store where scanning the barcode on the product package tells you exactly what the toy will look like when assembled. You pull out your mobile and scan the barcode of the product to read all the online reviews. Satisfied with your decision, you make the payment through the app, eliminating the need to stand in line to checkout. If you think this is futuristic, I’m here to tell you that the future has arrived. Google’s research reveals that over 75% of adults start a task on one device and complete it on another. The average consumer uses as many as three to five channels or devices in the course of making their buying decision and completing a purchase. 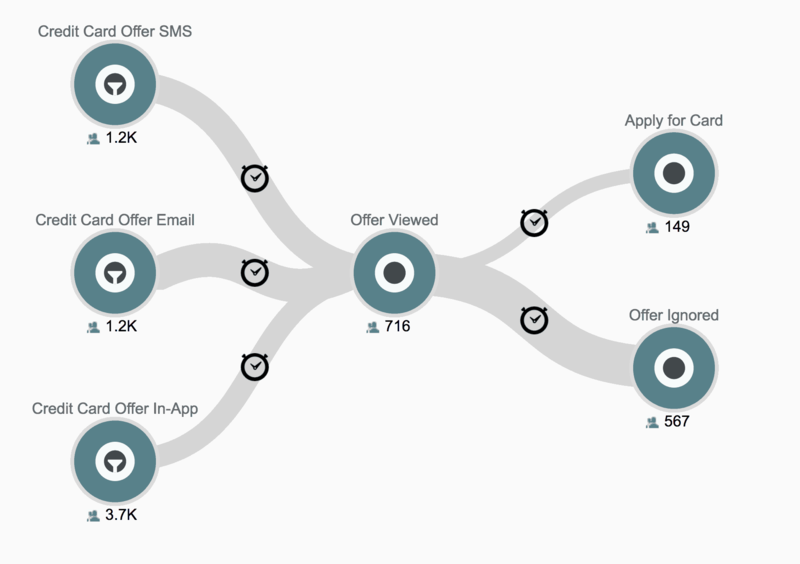 In this post, I’ll lay out why optimizing omnichannel customer journeys is critically important, the constraints in doing so, and how customer journey analytics can help in this endeavor. 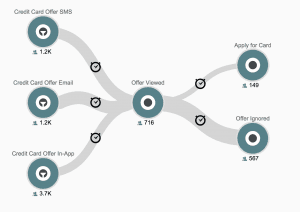 Why is Optimizing Omnichannel Customer Journeys So Important? A typical shopper today may first come across a product through a social media ad, check it out on the company website and purchase it in a physical store. 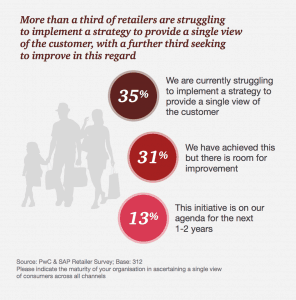 But are you equipped to see this customer as a single person and not three different shoppers? A large majority of companies still see each device and each interaction as a separate customer, fracturing the customer journey into disparate fragments. Nowhere is this problem more acute, or important, than in retail. PwC’s 2017 Total Retail Survey found that a majority of retailers are either struggling to implement a strategy to get a single view of the customer or have room for improvement. The proclivity of customers to hop from channel to channel during the purchase process significantly increases the risk of an incomplete or abandoned purchase. If marketers want to maintain customer engagement even as customers hop across channels and devices, they must have a complete, unified view of the customer journey across all their touchpoints. Traditionally, marketing channel performance was measured by ‘last click’—a flawed and largely outdated method that only takes into account the last step of the journey. 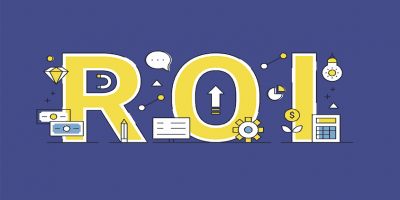 Collecting and analyzing data across millions of touchpoints and different channels improves marketers’ understanding of the role that each channel plays in customer decision making and provides key information on relative channel ROI. 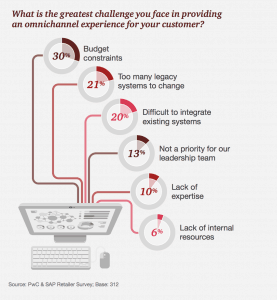 The simplest and biggest challenge for effectively optimizing omnichannel customer journeys is the budget constraints most marketing and CX teams face. 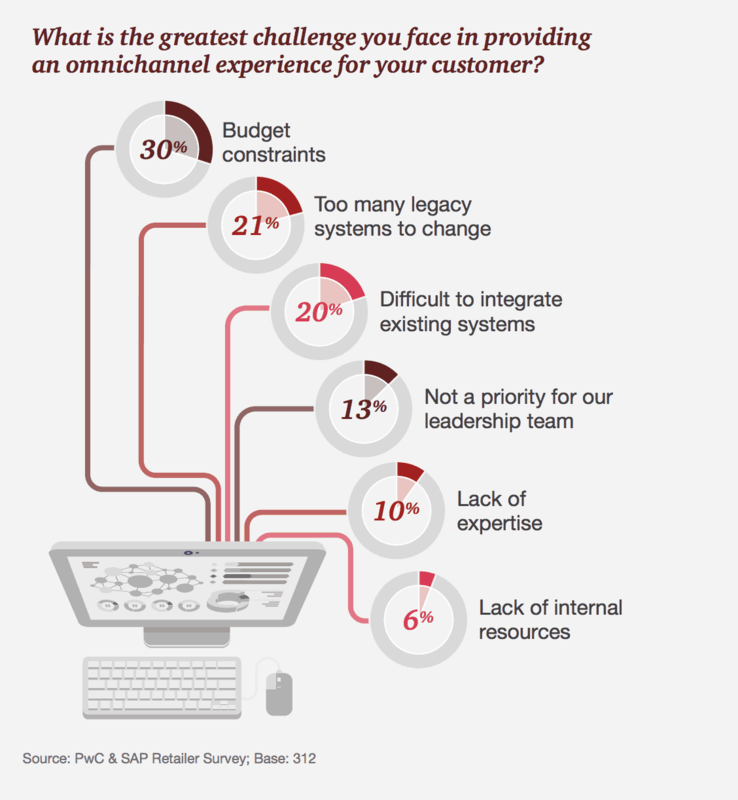 Businesses face increased complexities and customer expectations today. Budgets aren’t unlimited and optimizing a multichannel journey competes with investments in other areas such as strengthening digital infrastructure, building retail network, communication strategies, overall analytics capabilities and retaining talent. In most companies, data exists in silos across a variety of new and legacy systems. This makes it difficult or impossible to glean meaningful and timely insights from all the data that an organization collects and stores. Moreover, the analytics approach used by most companies is channel-specific, preventing them from getting a complete picture of the end-to-end customer journey. In a recent Dun & Bradstreet and Forbes Insights Analytics survey, more than a quarter of top executives surveyed identified skills gap as a major obstacle to their data and analytics efforts. Analyzing customer data in a practical and actionable way involves mastering advanced technical, statistical and analytical concepts. To query and extract data out of datasets, for example, users need to be conversant with programming languages like SQL, R or Python, and know how to manipulate data. These are not skills the average marketer or CX professional has acquired. Consumers are constantly producing data about their likes and dislikes, channel preferences, product choices, and more. 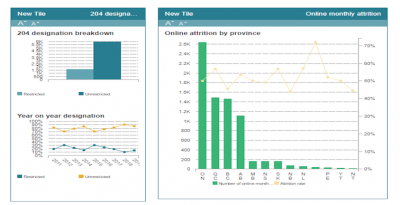 This customer behavior data is spread across website visits, email opens, social interactions, forms completed, purchases, etc. Looking at this data in channel-specific silos of social, mobile, email, etc. can be misleading. For instance, a retailer may find that limited sales are happening on social channels and wrongly conclude them as ineffective. But looking at the entire journey across channels, the retailer may discover that social channels are in fact a critical influencer of eCommerce sales. Customer journey analytics platforms enable you to get a single, unified view of the customer as she interacts with your brand across touchpoints, by quickly integrating data across a variety of systems and channels. In addition to simply integrating data across touchpoints and internal systems, customer journey analytics tools use identity matching to determine which events in each system are actually being performed by the same individual. Companies need to differentiate the important from the trivial, so they can focus on problems and opportunities that have the most potential to impact business results. Customer journey analytics enables you to do just that by identifying the costliest failure points along the customer journey, so you can decide where to invest your dollars. Optimizing a multichannel customer journey involves analyzing millions or even billions of data points. But with so much data to track, it is easy to become overwhelmed by volume. It is key to have a clear idea of the important metrics to track and the customer journeys that relate to hard, quantitative metrics. A major retail bank identified improving credit card opening rates among millennials as a key goal. 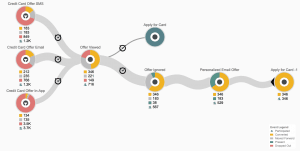 To understand the role that different channels played in credit card offers and their respective efficiencies, the bank employed customer journey analytics. 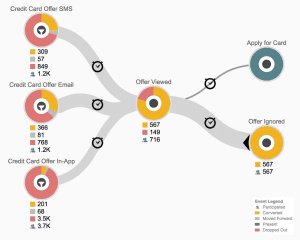 After integrating data from different online and offline channels such as branch visits, website browsing, mobile data, email data and in-app interactions, they mapped the customer journeys that were leading to credit card offers being viewed. Within minutes they discovered, after an offer was viewed, how many customers went on to apply for the card online versus how many rejected or ignored the offer. 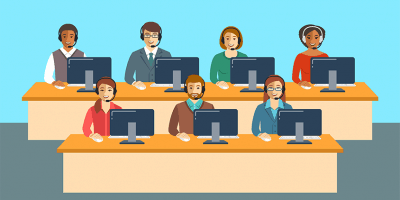 With one click, they were able to see how many customers moved forward at each step, how many dropped out and how many were still present at that step. Using customer journey analytics, they determined that the offer was converting better for people who had seen it as an email than as a text message or within the bank’s mobile app. Based this information, they decided to send a personalized email offer to those who had viewed the credit card offer and then abandoned their journey. A day later they reviewed the results and were delighted to see a large number of those email offers had been converted into new credit card applications. 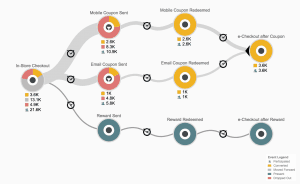 Since the customer journey analytics platform they chose was integrated with the rest of their martech stack, they set up an automated trigger within the platform to add anyone abandoning this journey in the future to the new email campaign. By isolating the path across discrete customer experience events, the customer journey analytics platform helped them zero in and focus on customer journeys they needed to analyze, even if myriad steps existed between two events. 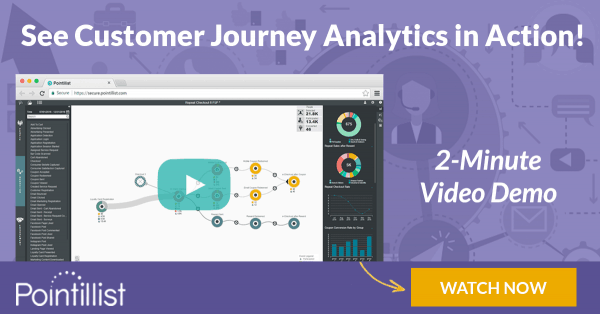 This multichannel analysis, which would have taken days and consumed high-level data science resources to accomplish using traditional analytics approaches, was competed by the marketing team in minutes using customer journey analytics. Customers today expect personalized, relevant information and offers driven by their preferences, recent interactions and latest experiences. To deliver, companies need to connect millions of data points and analyze customer journeys in real time, so that they can provide each customer with a personalized experience based on their own unique preferences and personal journey. 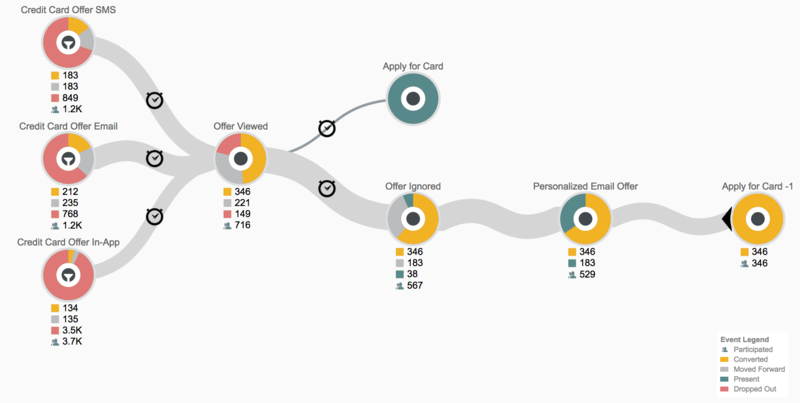 Customer journey analytics gives you the power to identify at-risk customers before you lose their business. 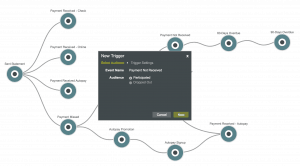 It lets you connect the dots between customer interactions and business outcomes in seconds, rather than weeks and months. When you implement a change that affects the customer experience, you need immediate and constant feedback to determine the impact of the change. 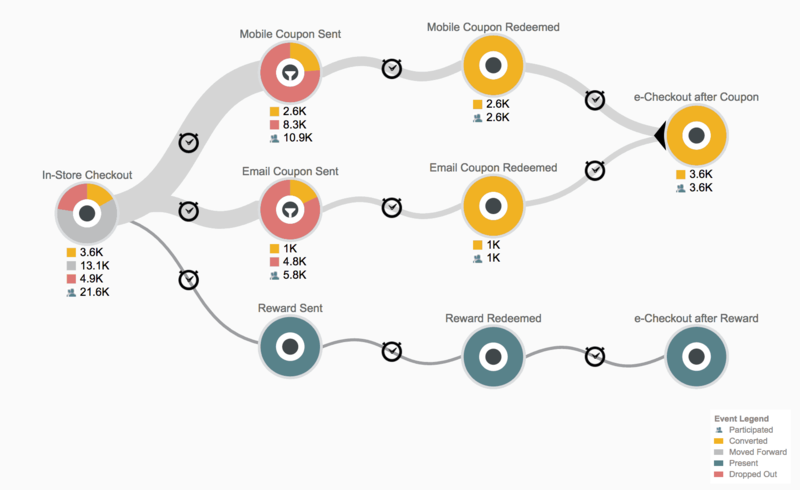 Customer journey analytics platforms can spot meaningful behavioral patterns and interactions in real-time, even among anonymous visitors, so you can engage each customer with a timely, personalized offer. 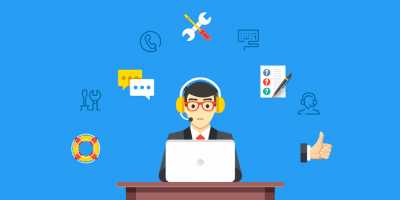 Customer journey analytics enables marketing and CX teams to automatically engage with each customer at the best time, through their preferred channel and in a relevant, personalized way. 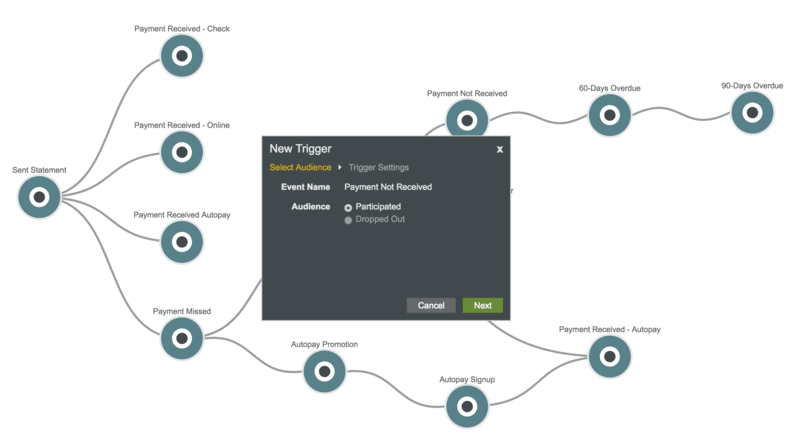 By embedding triggers at any event along the journey, you can activate engagement (such as an email send) to your target customer group within a specific event—customers who converted, those who moved forward or even those who dropped out at a particular point in their journey. 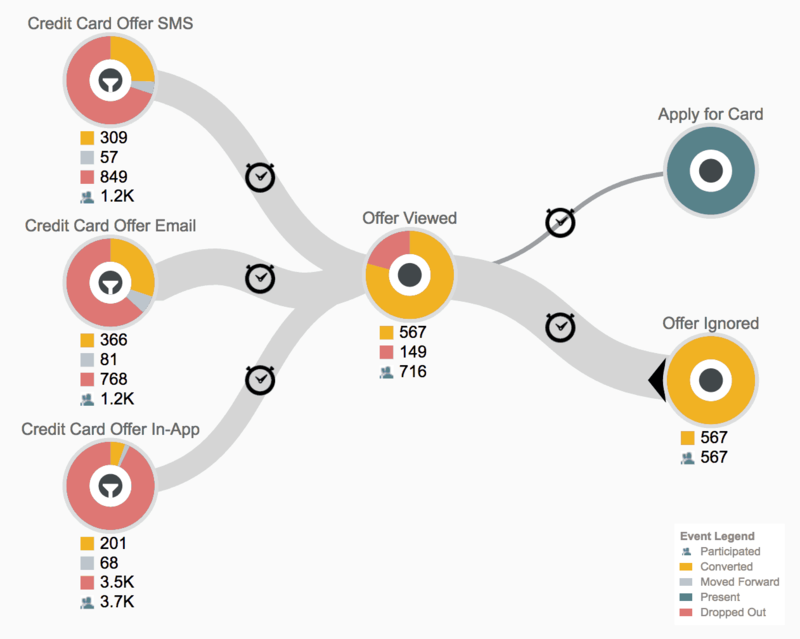 Analyzing thousands of omnichannel customer journeys through customer journey analytics helps companies uncover customer behavior that signals buying intentions. There is evidence to suggest that customers often exhibit these signals early in their journey. Having visibility to the entire customer journey therefore enables marketers to track and capitalize on the buying intention much sooner than waiting, for example, until the sale has already been lost or the customer has already churned. Fashion retailer Rebecca Minkoff has invested in evolving digital platforms and new technologies. By looking at the customer journey in detail, they realized that their target segment of millennial shoppers was combining an in-store visit with the mobile app to read reviews and compare prices before making a purchase. This led them to create a sophisticated ‘connected store’ that provides the best of the online world with a physical location. A ‘connected wall’ (huge touchscreen in the store) allows customers to swipe through new collections, runway shows and available products. When something catches your eye on the connected wall, you tap ‘Add items to my room’ and an associate places those items in a fitting room. When the fitting room is ready, you get a text message. If you like the item, tapping in the changing room mirror will ENABLE checkout of the product. Long before Oculus Rift became popular, Lowe’s had been incorporating augmented reality to deliver omnichannel experiences to its customers. 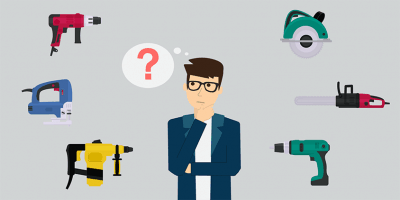 To make sure the process is rigorous, Lowe’s even collaborated with science fiction writers and illustrators to turn emerging trends gleaned from marketing research into narratives and graphics. 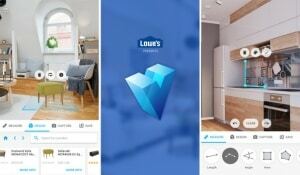 This led to Lowe’s breakthrough app ‘Vision’ that allows customers to visualize how new furniture would look inside their own homes. It can take accurate measurements through the app, so that you can go from visualizing your room to browsing Lowe’s products without ever having to pick up a measuring tape. As technology gets ever more integrated into our daily lives, the lines between channels continue to blur. Instead of reacting to changes in customer behavior, marketers and CX teams will need to start anticipating it proactively. 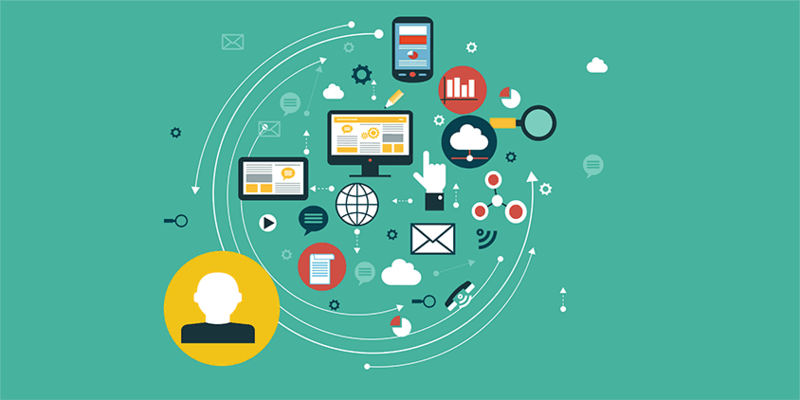 You need to quit thinking of channels as silos and design seamless omnichannel experiences. Customers think of their interactions with your company as one experience, whether online, in-store or on a mobile—and so must you. Customer journey analytics platforms can help you effectively optimize omnichannel customer journeys by integrating, analyzing and presenting data with lightning speed, making the discovery of important journeys dynamic and accessible.